Have you ever heard of DragonVale - The coolest game ever? DragonVale is a free app sold by 3 major app stores that I know of. This includes iTunes, Google Play, and The Amazon App Store for Android. 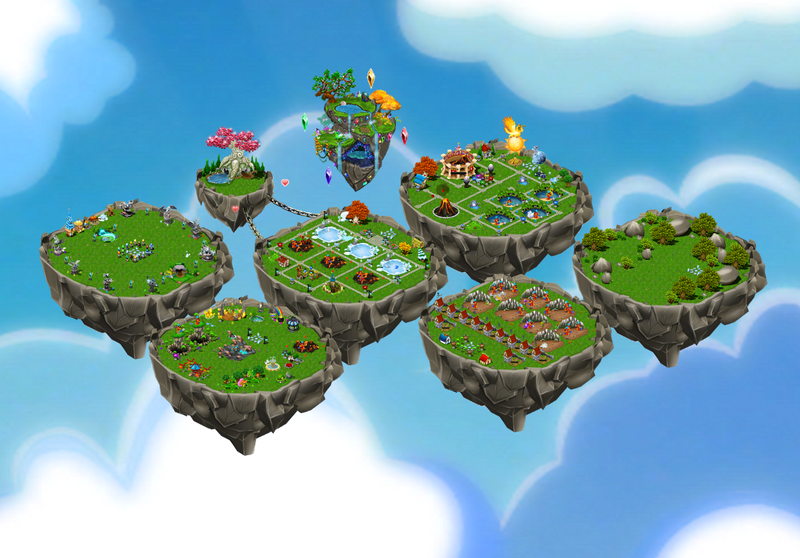 In DragonVale you build a world of dragons on magical islands that float in the sky. You can buy dragon eggs and decorations for your island with the virtual cash you start with. When your dragon eggs hatch you have to put them in their own special habitats. You can buy these habitats with your starting amount of virtual cash. Your dragons will start to make you virtual cash that you can use to buy more dragons and decorations. You get to feed them by buying food farms and then buying food. As your island flourishes with decorations and dragons, you will start to level up which enables you to get more decorations and different dragons. A really fun thing you are able to do is name your dragons. I like to name mine after phones and phone accessories! I really like this fun, friendly, and free app, but I think my sister likes it more than me! She really likes it when I breed dragons. Another really cool perk to this game is that if you have Facebook you can visit your Facebook friends’ worlds! But if you are like me, and don’t have Facebook you can visit a random person’s island. Other people will want to come visit your world too!!! Please do yourself a favor and download this game FOR FREE!!! I thought I'd share this link my daughter found: DragonVale Coloring Pages. If your kids don't already have this app for their electronic device, tablet, or whatever -- check it out! I loved this review! I actually just looked at this app in the Iphone App store tonight for my daughter. I am so excited that I saw this tonight! She is 9 (almost 10), do you think it will be something she can easily understand? Great job and thank you! Thanks, April, for the nice comment. I will show my son. :) I think your daughter would probably understand the game just fine. Sometimes Lincoln lets his 7 yr. old sister play. Thank you for the great review, Lincoln! I just grabbed Dragonvale for my kids. How did you take the picture of all your islands at once?